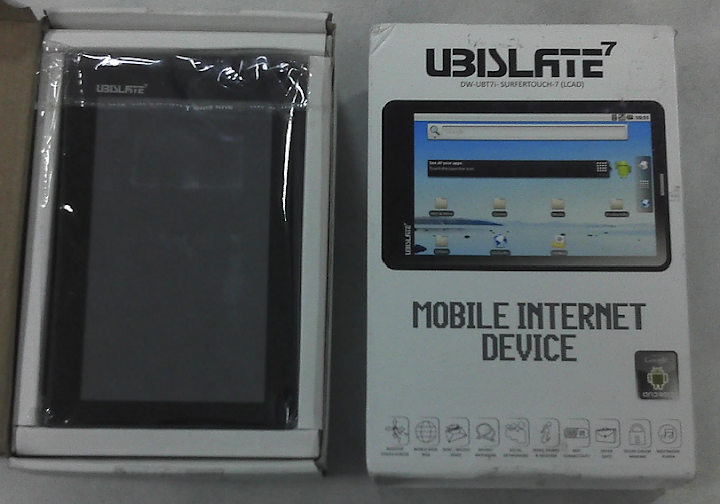 Today i got Ubislate 7 Tablet from naaptol, here i am going to share my experience with naaptol and Ubsilate 7, It was totally horrible and treble experience. Poor build quality.I won't expect much but it's worst,when i am pressing back button it's making noise and some parts of screen edges came out. Performance of device is very poor and worst at it's best. I decided to send it back when i called to them the response was strange and unexpected,The response was "we will do service only". Then finally i packed it send back to them, lets see what and how many days they will take dispatch it again. In my opinion totally i wasted 3000 Rs. My suggestion is don't go for these cheap devices. try to buy it from flikart.com , it would be better. I had placed an order for Lenovo Desktop PC through Naaptol online shopping website. They delivered PC within 5 days with bill and warranty card. PC works well and doing good but after Two days its speakers stopped working. When I took my PC speaker to service center they told me that the speakers are out of warranty in their records and it has some major damage. Then I made a call to customer care of Naaptol at 9223516148 but nobody was responding. After calling them 10 times one of their customer service agents picked my call, but when I discussed him about my issue he told me that it is not their concern. I should call to Lenovo customer care or go there personally and disconnected my call. So I decided to submit my complaint at Consumer Court and I did same. Now I am waiting for my complaint reply. Hope to get some help from Consumer Court soon.